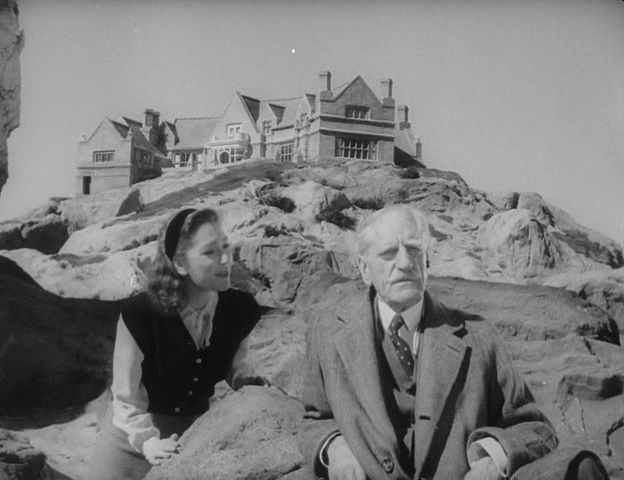 One of the supreme suspense films, René Clair’s And Then There Were None combines the glamour and wit of a Hollywood studio production with a considerable amount of very real suspense. Adapted from an Agatha Christie novel (Ten Little Indians), it tells the story of a group of strangers who are invited to stay at an island estate only to find out that they are being eliminated one by one according to the predictions of a nursery rhyme that they find. 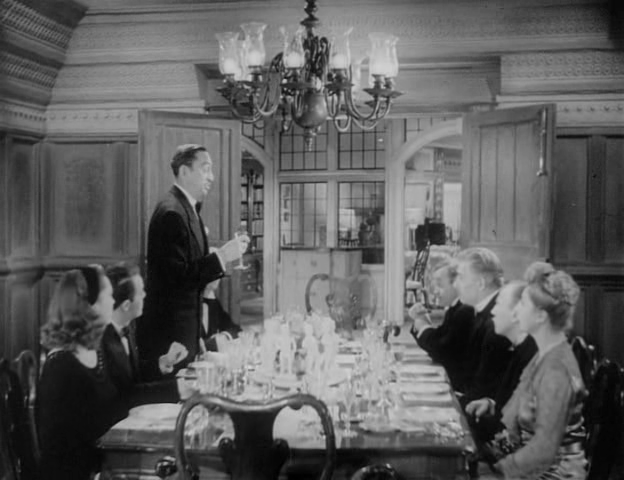 By making a game of the treachery and never actually showing any of the murders on-screen, Clair achieves the same delicate balance between tension and breeziness that Hitchcock strived for in films such as To Catch a Thief and Family Plot. The production values are top notch, and the cast of relatively unknown character actors assembled keeps us from guessing whodunit right off the bat. Each member of the cast gives a solid performance, and all of them manage to arouse our suspicion once or twice. Because everything is conceived as a guessing game, it’s imperative that the rules be laid out clearly and quickly, and on those counts the film never falters. Despite a change to the novel’s ending, the movie recaptures the spirit of its source material with such aplomb that it’s not surprising that the book was later renamed with the title of the film. The collective effect of the various terrors wrought upon these visitors is, at times, giddying. Perhaps the most impressive bit of audience manipulation occurs when one wise character figures out the ruse, exclaims, “I get it!” directly to the camera, and promptly gets squashed by a ton of bricks. Since the audience knows something horrible is about to happen to a character whenever the next verse in the rhyme is revealed, the pacing rarely flags. There’s probably not a wasted shot in the movie. Clair’s camera seems as interested as we are in getting to the bottom of this mystery, and can be seen peeking through keyholes and around corners as it spies on the guests, who are usually found to be spying on yet another guest. The director is ceaselessly inventive visually, and the games that he continuously plays with the audience never hamper the thrills: they only leave us wanting more. Thanks to the confined setting, the genial tone, and the killer setup, And Then There Were None exhibits surprising durability. There’s no doubt that its frights still frighten and its mysteries still puzzle.